The first new Sony TV for 2017, the 55-inch XE9305, sets a seriously high-tech tone. 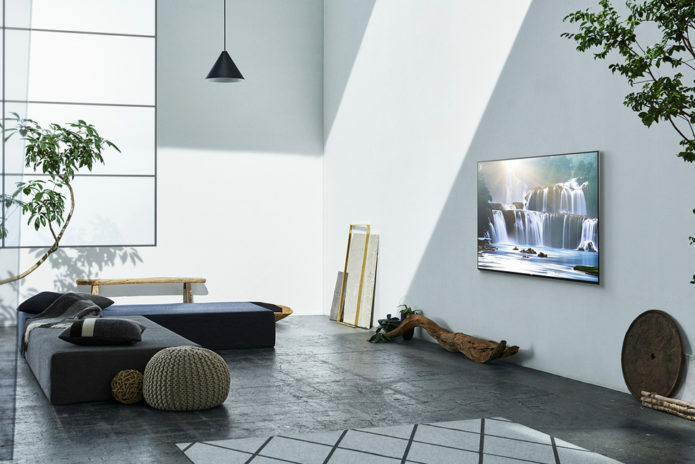 Leading the way is the second-generation of Sony’s Slim Backlight Drive system, which uniquely places two LCD light plates in sequence to provide twice as much local light control as you get with typical edge-lit LCD TVs. This system is the only edge LED engine we’ve seen, in fact, that’s capable of lighting a bright object in the centre of the image without causing stripes of light bleed right across the screen. The KD-55XE9305 also boasts Sony’s latest and greatest picture processing engine. The X1 Extreme chipset (first seen on Sony’s spectacular 65ZD9 flagship TV last summer) introduces a new dual database system for improving the way high definition sources are upscaled to 4K, and crucially carries enough processing horsepower to add support for the Dolby Vision high dynamic range (HDR) format via a future firmware update (Dolby Vision adds a layer of extra information to the HDR picture data to help TVs optimise the way they present it).